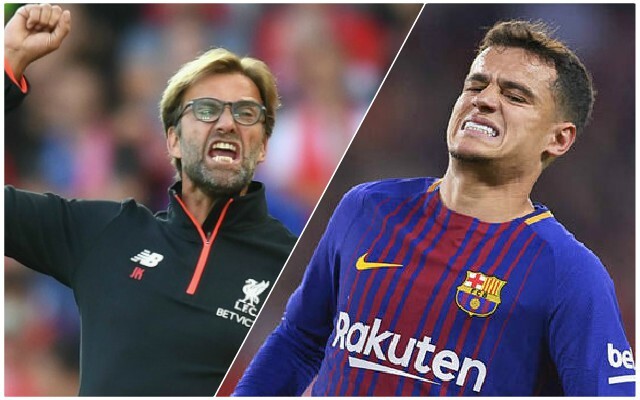 Liverpool could lose out on a huge amount of the transfer fee that was agreed for the sale of Philippe Coutinho should the Brazilian leave Catalonia this month. Manchester United have been linked with a move for the Brazil international, although that seems highly unlikely, and PSG have also been interested in him in the past. Reports of a move come as Coutinho has not settled in Barcelona’s team and is not performing at the level the club anticipated. According to The Mirror, the Reds earn £4.4 million for every 25 league appearances Coutinho makes for Barcelona, up until his 100th. He has played 34 times for Barcelona, so another three of those instalments are to be paid. The Reds would also earn the same amount should Barcelona qualify for the Champions League this season, which they almost certainly will, or should they win the competition this season, which is still a possibility. That means a potential total of £22 million that Barcelona will owe the Reds as part of the £142 million deal that was struck 12 months ago. Of course, should the Reds attempt to re-sign him, that could be a potential discount on a transfer fee, though he might not be welcomed back given the way he forced himself out.